One of our favorite things about Casablanca Bridal’s dresses is that all gowns can be customized to your choosing! Want a sweetheart neckline or think the silhouette will work better for your body type if you remove the straps? Casablanca Bridal will handle all your customizations so you can truly find the “dress of your dreams”! We just love how the understated tones allow the detailed lace + delicate details to show up so beautifully. 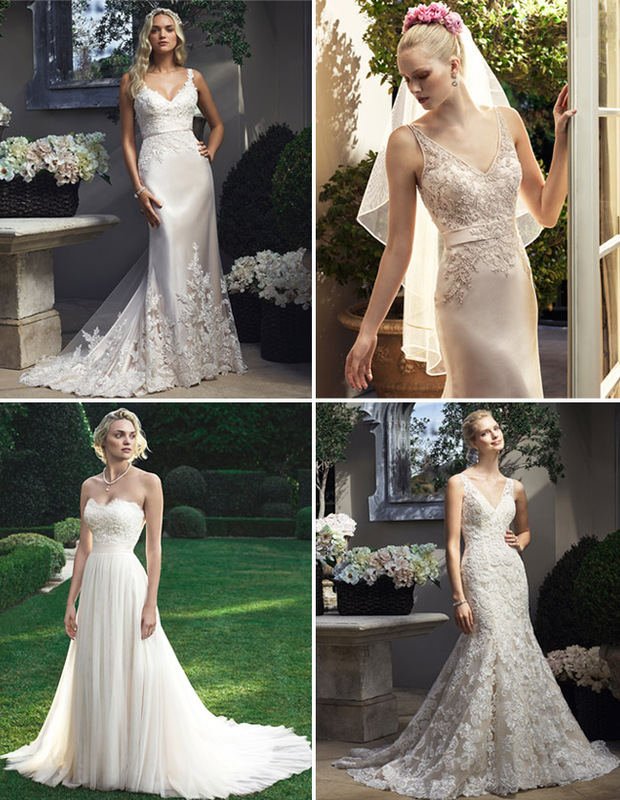 To see more from the new Casablanca Bridal collection, be sure to follow along on Facebook, Twitter, Instagram + Pinterest! * This post is sponsored by Casablanca Bridal. Thanks for supporting our sponsors! The dresses are gorgeous! Made me wanna marry.